Molly Bloom is world-class moguls skier with Olympic aspirations, the result of years of enforced training from her overbearing father. In a qualifying event for the 2002 Winter Olympics, Molly is severely injured; ending her career. 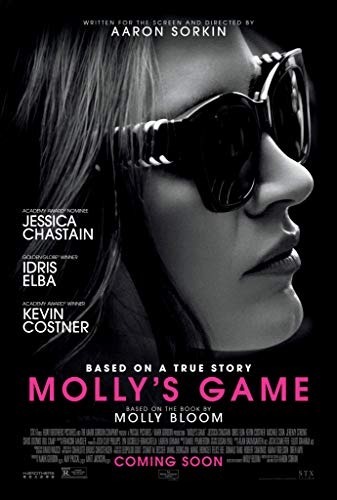 Instead of her original plan of attending law school, Molly decides to take a year off and move to Los Angeles. Once she arrives, she becomes a bottle-service waitress at a club, where she meets Dean, an ostentatious but unsuccessful real estate developer. She becomes his office manager, and he soon involves her in running his underground poker games. Many famous and wealthy individuals, such as movie stars, investment bankers, and sports players are involved in Dean's game; she earns large sums of money on tips alone. Read more on Wikipedia.